I never knew that the time could come that I'd actually find online shopping to not only be therapeutic but totally convenient too. Back then, people who online shop would just end up with clothes, shoes, accessories and baked goodies. Today, you can shop for anything and almost everything with just a few clicks here and there. Now I get why first time or new moms like me totally adore online shopping. With a little baby (or babies, in my case) in the house, it's pretty impossible to go out and do your errands but life at home goes on so we need to eat and restock our pantry no matter what. 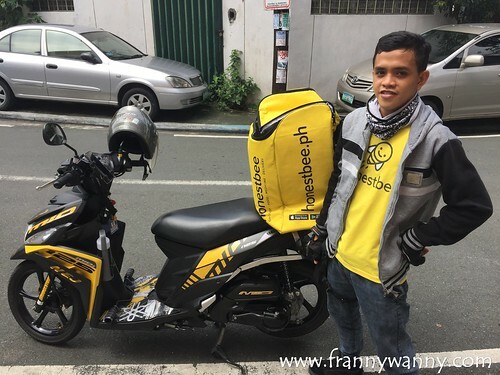 Luckily, I learned about Honestbee Philippines. I first heard about this when I was residing in the Lion City as I had colleagues who would buy their monthly snack stash using Honestbee's delivery service. As for me, our condo unit then was located just 2 blocks away from two major supermarkets and my office was sandwiched between 3 groceries so I never really found the need to do online shopping then. After all, a little walking exercise is always a good thing. Given no choice, I tried their service while I was nursing one of my babies at the middle of the night and I was so happy to see that they have a pretty impressive list of merchants. 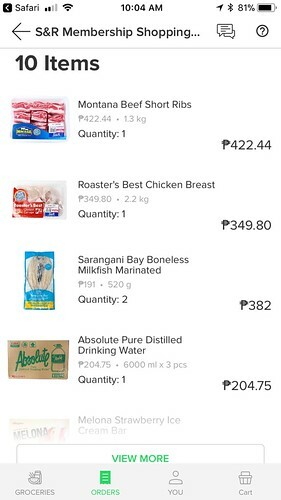 For one thing, my favorite membership grocery, S&R Membership Shopping is part of the listing so even those who aren't members can now shop via Honestbee. Navigating through the app is pretty easy! Everything is categorized by product item from frozen meats to seafood to personal care and more. Admittedly, you can't really expect to have all the products found in the store being sold through the app but I'd say, at least the basic necessities are all there. 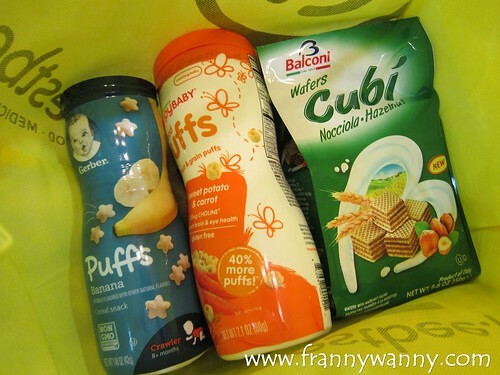 I bought several frozen meats which I need to cook soup broths for my kids then of course, I just had to get them some yummy rice cracker snacks too. 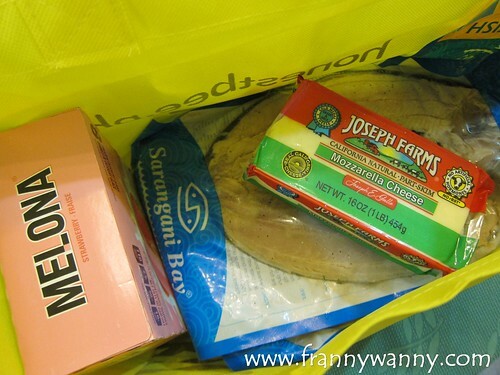 In addition to this, I got a box of our favorite Melona ice cream which was reasonably priced and some ingredients for my next few recipes to test too. One thing that I love about Honestbee is how they have a lot of promos that would help discount your total bill or give you free delivery. For instance, I managed to get P500 off my total bill for as long as I reached a minimum of P2500. That wasn't too bad, at all. I started filling my shopping cart during the day and did my payment at midnight after checking with Paul if he wanted anything from S&R. That's one thing you can't do if you're physically in the grocery as you have to do things fast, fast, fast. Before checking out, you can choose what day and time you'd like your grocery to be delivered. I needed my frozen meats ASAP so I chose that this be delivered by noon of the same day. Well, what do you know?! I actually got a message from my shopper saying that he can have it sent to me 2 hours earlier than expected. I was so happy as this means I still have time to prepare the soup stock for lunch. The beauty about Honestbee is it limits the guesswork and everything is shown to the shopper. From the step by step process of receiving the order, shopping and preparing the order and lastly, where the delivery man is currently located. Hooray for such seamless process! My rider arrived right on time and I love how my items are all neatly packed in several thick Honestbee eco bags. Hooray for saving Mother Earth by doing away with plastic or paper bags. I appreciated how they ensured to keep all my frozen items cold and well...still frozen by packing them properly together. The last thing I'd want to see are badly handled grocery items and this will never be the case with Honestbee. In addition to grocery items, Honestbee also do food delivery service which I was also able to try just recently. Perhaps, I'll save that for another blog entry. Meanwhile, download Honestbee now, sign up and start shopping! Click here to visit Honestbee Philippines. It's also available on Apple App Store and Google Play.